The spectacular concert follows the successful Pink Floyd Concerts – Dark Side over Gozo and Dark Side over Valletta. 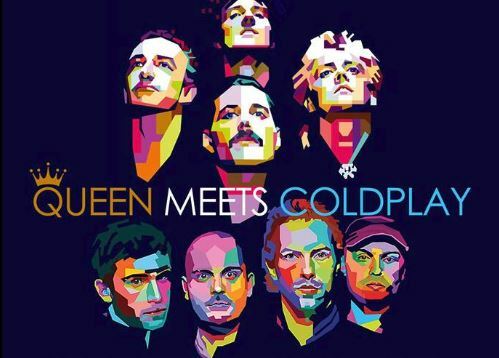 Queen Meets Coldplay is a production of The Gozo Youth Orchestra in collaboration with 7 Star Pyramid Productions through Festivals Matla. The concert features two rock bands; Cash & Band and Killer Queen Band, a 60-person orchestra, a backing choir and guest singers – Ludwig Galea, Neville Refalo, Chris Grech, Dorothy Bezzina, Kevin McGowen, Keith Anthony, and Gianluca Bezzina. The best-ever and all-time favourites from Queen and Coldplay will be presented in a spectacle of music, lights, and projections.